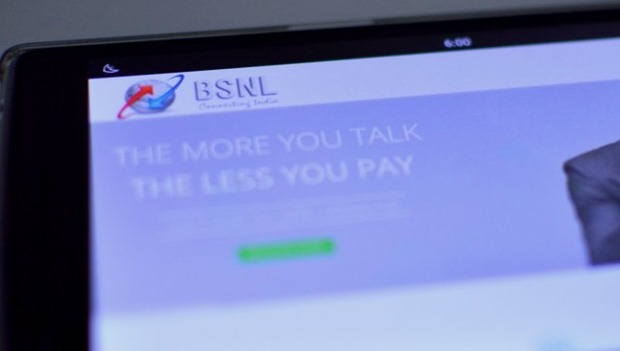 After introducing hikes in its data tariff plans which went on effect from 1 June 2015, BSNL has now increased the tariff of its voice plans across the nation. This move of BSNL comes right after when Airtel and Idea announced hikes in their 2G and 3G data plans. While Airtel only pulled back the discounts that it was offering on data recharges done online, Idea Cellular not only increased the cost of the plans but also reduced their validities. BSNL has withdrawn Rs. 176 1 GB internet pack having validity of 28 days and replaced it with Rs. 198 data pack offering 28 day validity and 1.1 GB data. The company has also withdrawn Rs. 29 and Rs. 45 night data packs which used to offer 500 MB and 800 MB data respectively. In a much similar fashion to Airtel, BSNL has also hiked its voice tariff plans by reducing their validities and benefits. BSNL has introduced a new tariff plan- STV159 which offers 365 Local and STD mins for a period of 30 days. Other existing plans have been revised with lesser voice call minutes and reduction in plan validity. These are not some major changes that will bump up your monthly bill significantly. Most of the users won’t even know about this revision in tariff plans as there is no change is STV price. But hey, it’s good to know your tariff plan, isn’t it? BSNL used to be the most affordable and a reliable mobile network provider a few years back, but the last few years haven’t been particularly good for the company and its subscribers. People are complaining about the quality of network since a long time now. While this hike in data and voice tariff plans is not very significant to talk about, but it will surely put-off its loyal subscribers who are troubled by its poor network. As per the latest news, BSNL is also planning to launch its 4G services across 6 of its 20 telecom circles. As per the sources, BSNL is currently in talks with Reliance Jio Infocomm Ltd. (RJIL) and SSTL for a tie-up. All that these telecom companies are waiting for is the spectrum sharing and trading guidelines from the government. The guidelines are expected to be in place in 1-2 months. We will update you once we have more information about the upcoming BSNL 4G network. Stay tuned! "BSNL Hikes Voice Tariff For Prepaid Subscribers. Plans To Launch Its 4G Network in Six Circles", 5 out of 5 based on 2 ratings.